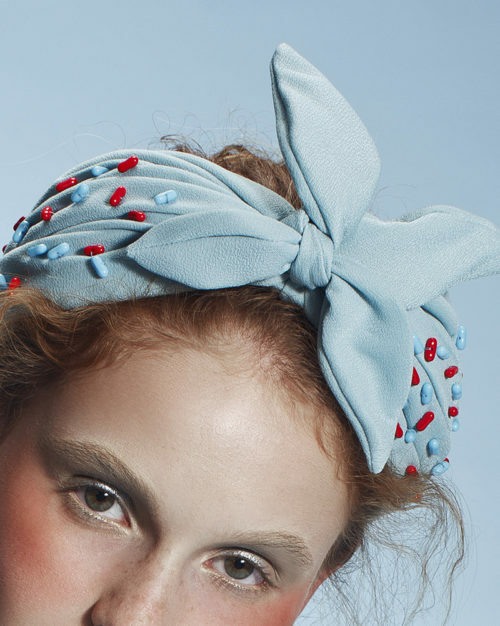 A headband that looks like a turban, made from viscose fabric in a pale blue tone. Effortlessly pleated and gathered in the center with a flexible bandanna style tie. special ‘blue pill – red pill’ glass beads are scattered and embroidered spontaneously over the pleats. 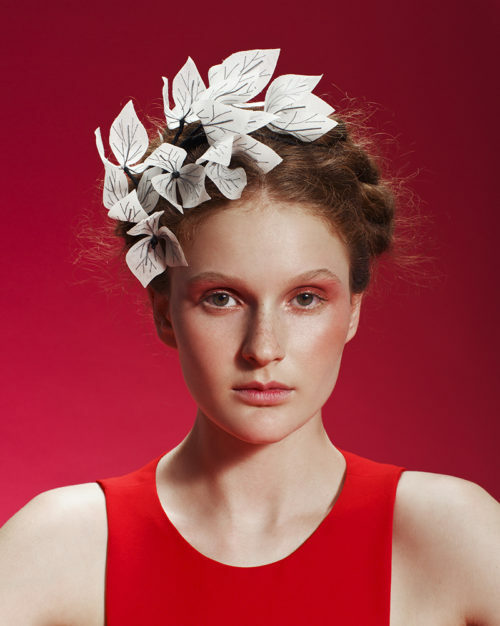 Has a custom-made builtin headband for fastening. Built as a headband, so that it is open in the back and doesn’t cramp your hairstyle. An ‘easy to wear’ piece that will amp up your casual outfit.